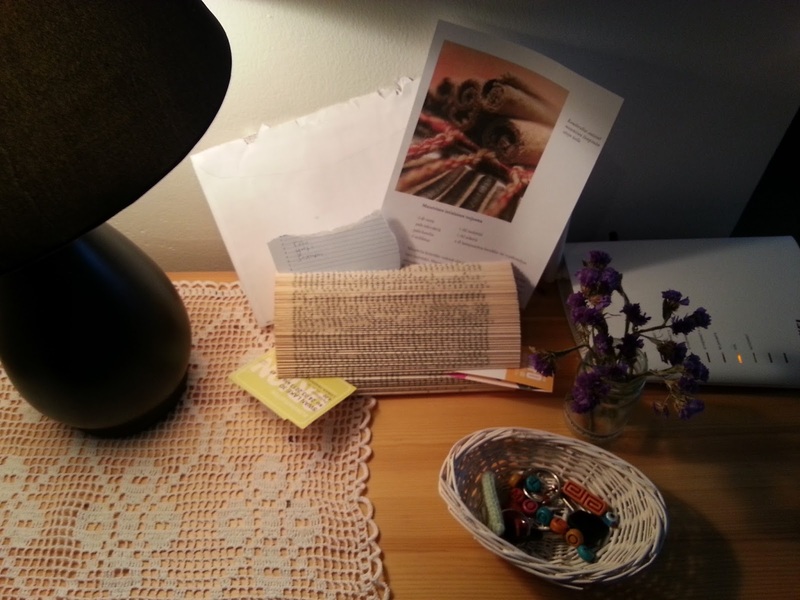 Want to create an elegant card holder for your home's entance? Maybe a gadget that can help you organize the mess of your desk? Grab an old book and start folding. Here is a very cute up-cycling project. In case you don't want to ruin a book from your personal collection, I advise you to visit your local library. Simply ask them if they have removed books from the collection. Many libraries are more than happy to give those books away, or sell them for ~1€. You need to choose a thick book in order to have a great result. But it's up to you how tall the book you use will be. Remove the cover and you're ready to start. Take the first page and fold it in half. 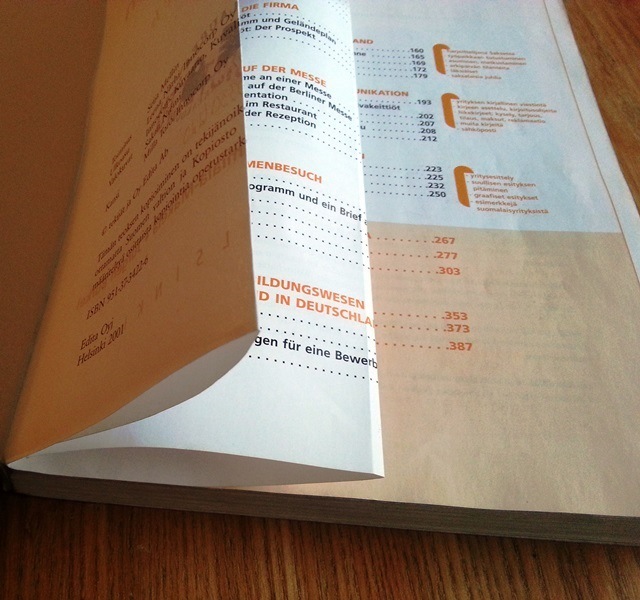 Take the second page and fold it in half, putting the edge of the page between the first and the second page. 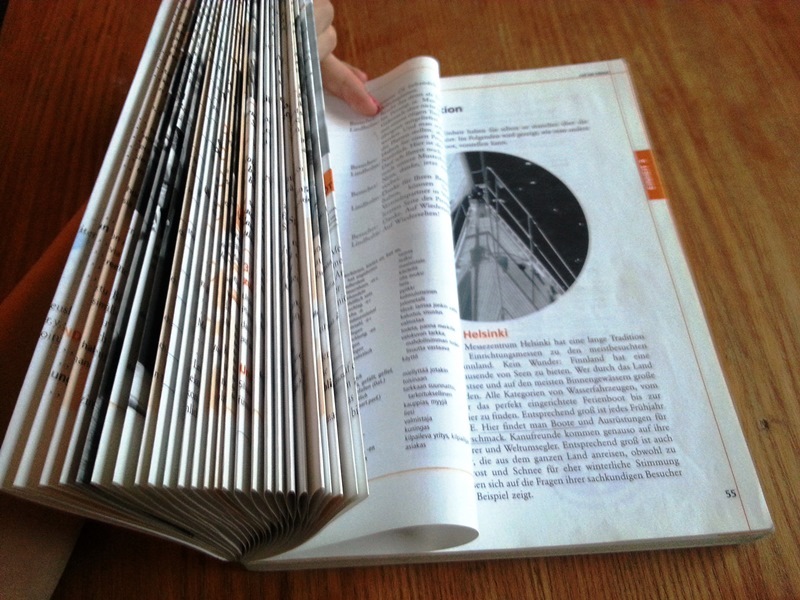 Continue folding each page separately until you finish with the book. 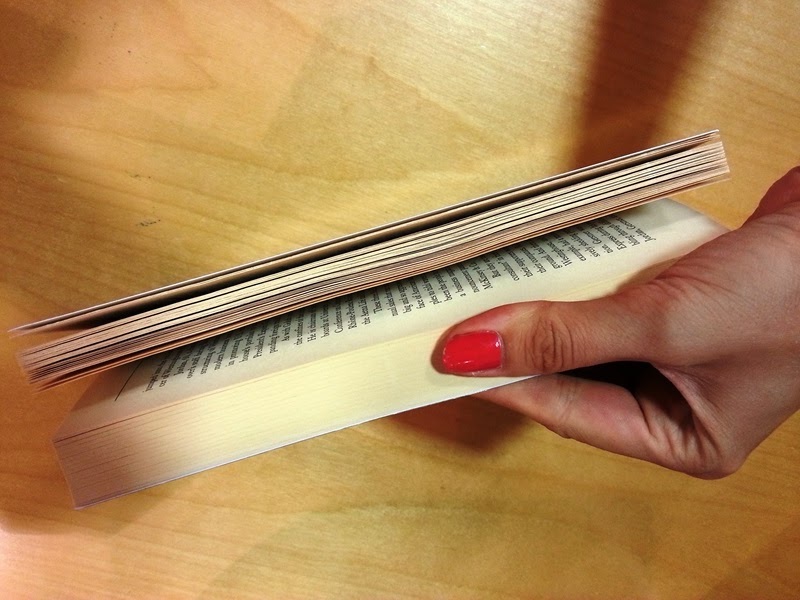 The font size and type of the book you choose will determine the final result. So will the black&white or colorful pictures and the yellowish pages of an old book.